What can you expect when designing a website when you are on a budget? You know you need a website, but how much will it cost you? You’ve heard stories about people paying $10,000 for a website! There’s no way you can pay that! Can it be done for less? But where to start? Hire someone or go it alone? What’s involved in developing a website anyway? What do you need to know or learn to a make the right choices? Get these questions, and more, answered in Designing Your Website on a Budget. What if you only have $100 to spend? What if you have $300? What if you have $750? What if you have $1,000? 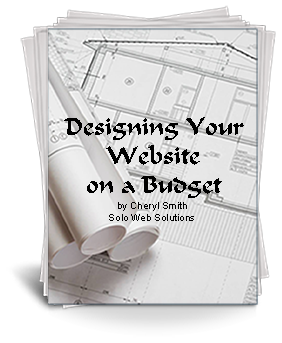 Get your report today for only $27, and see how you can Design Your Website on a Budget.